China today downplayed reports about its reservations over the PoK stretch of the USD 46 billion economic corridor it has planned with Pakistan, saying the project would not affect the positions held by the parties to the Kashmir dispute. “The ownership of the Kashmir region is an issue between India and Pakistan left over from history and should be resolved through dialogues and consultations between the two sides,” Chinese Foreign Ministry spokesperson Hong Lei told a media briefing here. He made the remarks in reply to a question on reports that China is concerned over the “disputed status” of Pakistan-occupied Kashmir (PoK) through which the about 3,000 km-long China-Pakistan Economic Corridor (CPEC) is proposed to pass. The project plans to connect China’s Xinjiang with Pakistan’s Gwadar port on the Arabian Sea. “Relevant cooperation between China and Pakistan in the region aims to promote local economic and social development. It does not target any third party nor affect the positions held by different parties on the relevant dispute,” Hong said. Recent reports in Pakistan said following China’s concerns, Islamabad is weighing options to elevate the constitutional status of northern Gilgit-Baltistan region of the PoK to provide legal cover to the mega corridor plan, marking a historic shift in stand to keep it out of its Constitutional ambit. Gilgit-Baltistan has never been formally integrated into the Pakistani state and does not participate in Pakistan’s Constitutional political affairs. 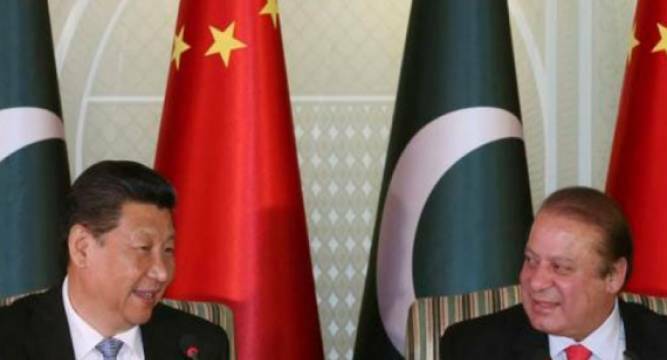 Hong did not directly respond to the question on China’s concerns over the disputed region but Pakistani media reports quoted an official as saying that Beijing was apprehensive about future legal complications. “China cannot afford to invest billions of dollars on a road that passes through a disputed territory claimed both by India and Pakistan,” the official was quoted as saying. Outwardly, China has been maintaining that this project will not have any impact on the PoK’s “disputed status” but the efforts by the Pakistani government to look for options to change the status of Gilgit-Baltistan has come as a surprise to observers here. India has been protesting the corridor’s passing through PoK to China ever since the project was kicked off by President Xi Jinping during his visit to Islamabad last year. Replying to a question about scepticism prevailing among many Pakistanis over the project, Hong said the corridor is an important consensus reached by leaders of the two countries. “It will cover the entire state of Pakistan and deliver benefits to the entire population of Pakistan. It will also promote the common prosperity and development of not only China and Pakistan but a also other countries in the region,” he said. Hong also said the project construction will take a long time and will be built in a step by step manner. “The building of the economic corridor is a systematic work that will take a long time,” he said adding that it will constructed in a step by step manner following “scientific planning”. “We would like to make joint efforts with Pakistan to implement the project, make long term plan and push for new progress in the building of the economic corridor,” he said.